These roomy knee-length Nike shorts I won at an eBay auction in 2003. 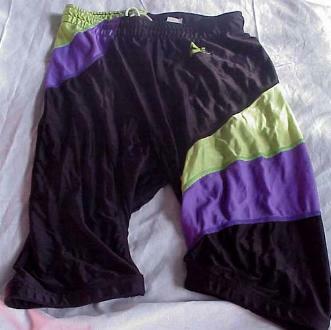 Seller was junkman101, and it was given this description at the auction: This is a great pair of very lightweight nylon spandex shorts from Nike. These are the type that mold to your body, the size is large and in very good condition.